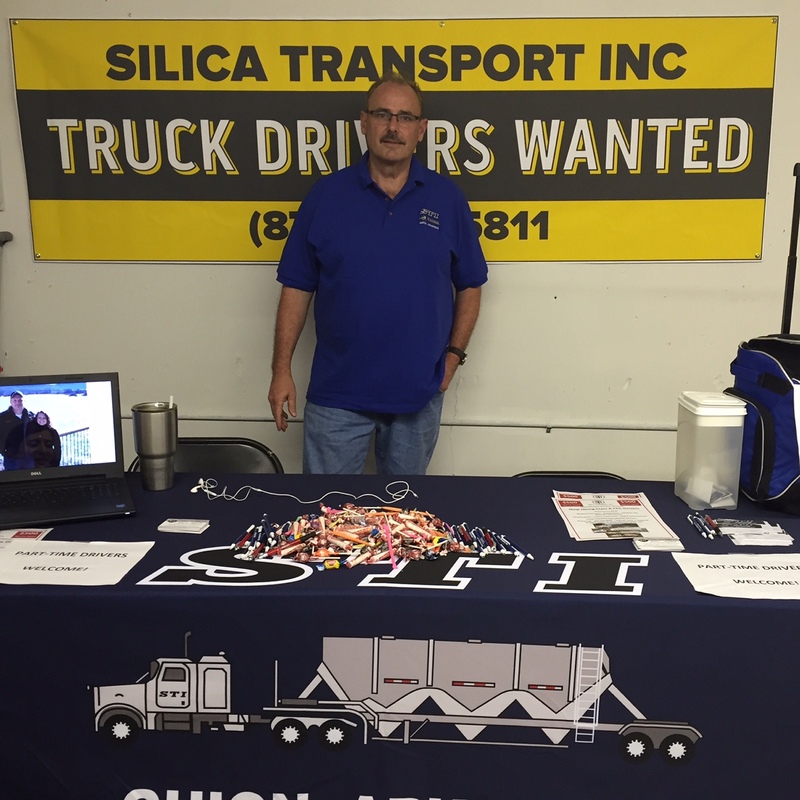 STI @ Stone County Fair 2016 – Silica Transport, Inc.
Stone County Arkansas is a great place to recruit new drivers for Silica Transport! Jackson Knight was meeting and greeting for STI with a booth at the Stone County Fair in Mountain View this weekend. Thanks to all who came by and said Hi! If you CDL folks are interested in working with us hauling bulk, flatbed and or propane, please fill out an online pre-application on this website. Next stop for STI Fair Booth will be at Melbourne for the North Central Arkansas District fair, September 26th thru October 1st. Come by and see us there!!!! .